Is the Italian Pizza, since 2010 “ traditional speciality UE guaranteed “ and in 2011 candidate as World Heritage Site from Unesco. Rome’s best Neapolitan Pizzeria You can find the best Neapolitan pizza in Rome at PummaRe’. PummaRe’ s pizza is well made, following the traditional working method and adding the expert touch of our Mastro Pizzaiolo. The ingredients used for our Neapolitan Pizza are simple but full of quality. In the dough we used 00 flour and tipology 1 flour stone ground. For the dressing of our pizza we used the San Marzano passata, fior di latte of Agerola, the yellow tomato of Piennolo and the anchovies of Cetara. The cooking is of course made in the wood oven. The secret for a good neapolitan pizza is in the balance between chemistry, physics, passion and mastery. Which are all elements that we know. 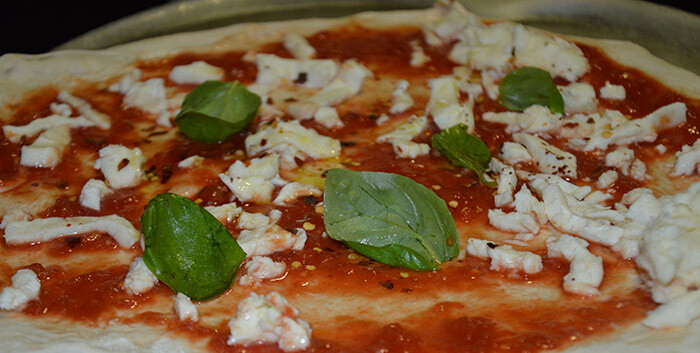 In these days PummaRe’ is one of the few reality in Rome that developed the concept of Gourmet Pizza. The Gourmet Pizza or tasty ,if you prefer, begin with the knowing of the tradition and makes possible a new sensory experience, thanks to the combination between flavors and raw materials of high quality. Every combination is well studied, modified and retried just to be perfect in our restaurant. Every Monday, to PummaRe’, is possible to taste this different concept of Neapolitan pizza in all its variants at the fixed price of 8 euro. A unique experience of taste, for everyone. In PummaRe’ s perfect style. If you want to try the the real Neapolitan Pizza in Rome, PummaRe’ won’t let you down. You can choose to come in Via Andrea Doria 41 in Prati District or in Viale Regina Margherita 72, in Parioli district.